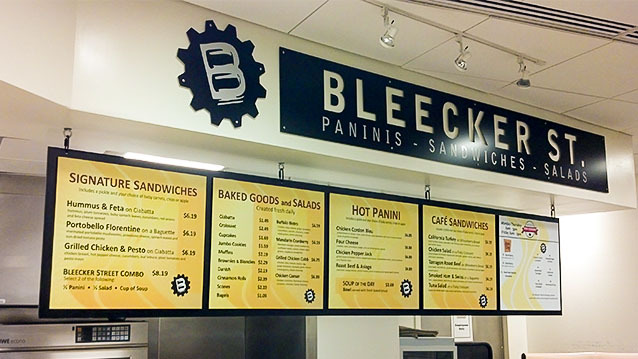 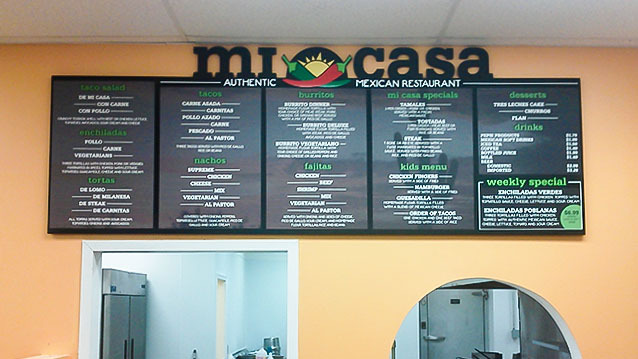 Menu Boards - Hightech Signs, Inc. 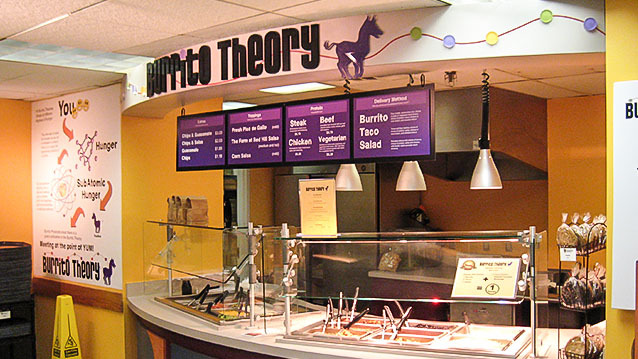 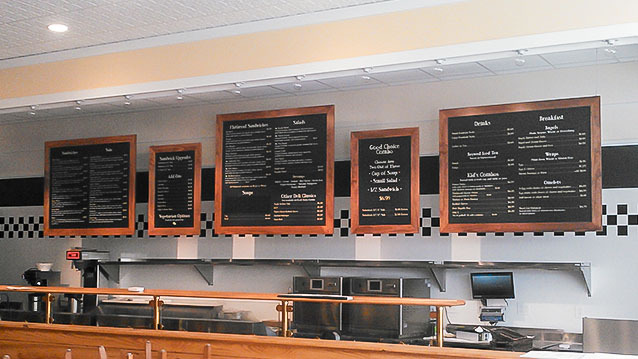 Menu boards are one of your business’s most important investments. 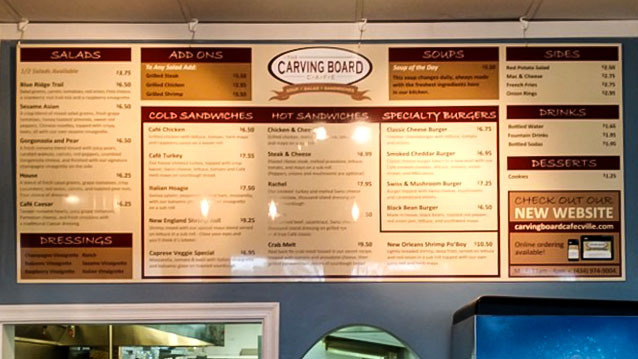 As a key point-of-purchase sign, quality restaurant menu boards and product menu boards make you shine. 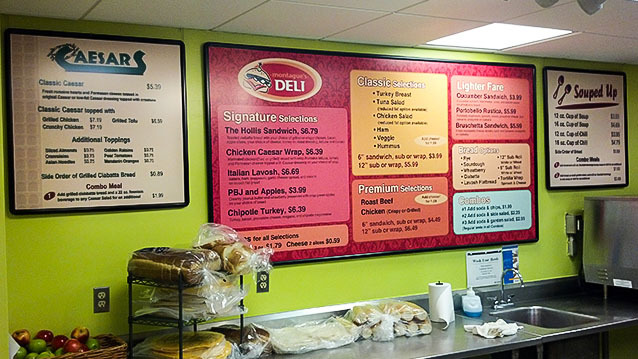 Hightech Signs has produced menu boards for the Central Virginia area’s most popular coffee shops, fast food restaurants and supermarkets. 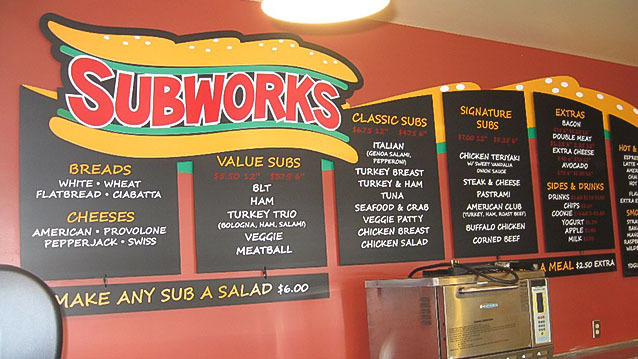 Our production team can help you choose the right design for visibility, the right material for quality, and the most affordable option for your bottom line.